Though I love the idea of pampering myself with mani-pedi occasionally, I am a big fan of weekly at home manicures that I indulge in with my sister. We usually add glitters or flowers using bright colors mainly based on the season. This time we decided to try muted colors with feathers to make our nails look little more fall-friendly. It is surprisingly easy to do at home. Here’s how we did it. 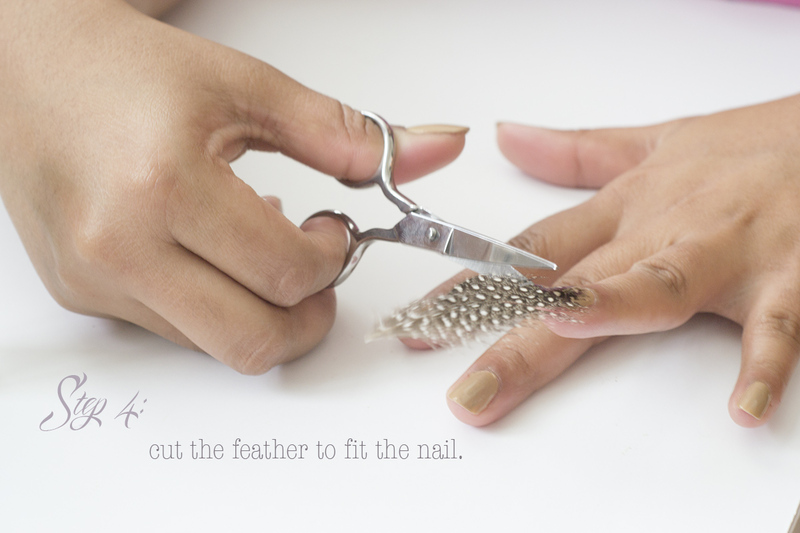 Step 2: Pick a feather that fits your nail and align it correctly on your nail. Step 3: Apply top coat (making it a thin coat) over the feather covering the nail. Step 4: Carefully cut the remaining feather to fit the nail perfectly. 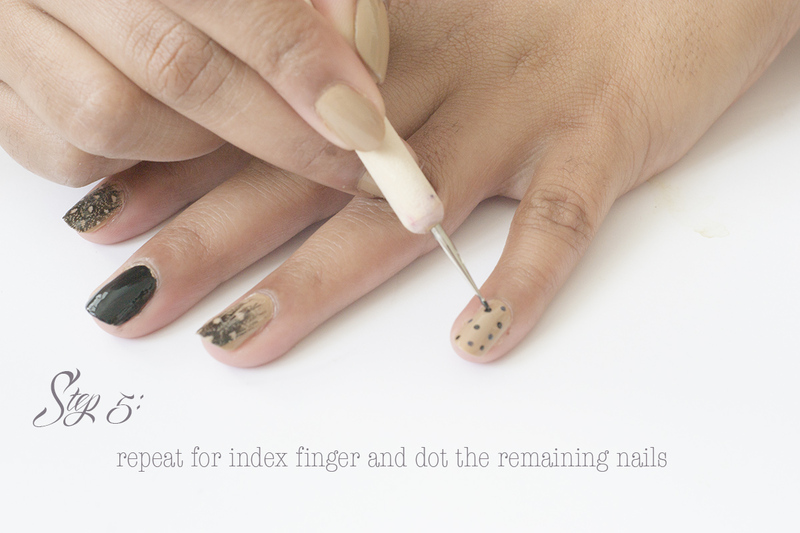 Step 5: Dot the remaining nails using the dotting tool(or bobby pin) or repeat the steps 2-4 for other nails. We decided to do dots. Notice we also changed the color of middle finger to black just to add some contrast. Step 6: Once all the nails are finished, apply topcoat to the entire nail, sealing the feathers in.